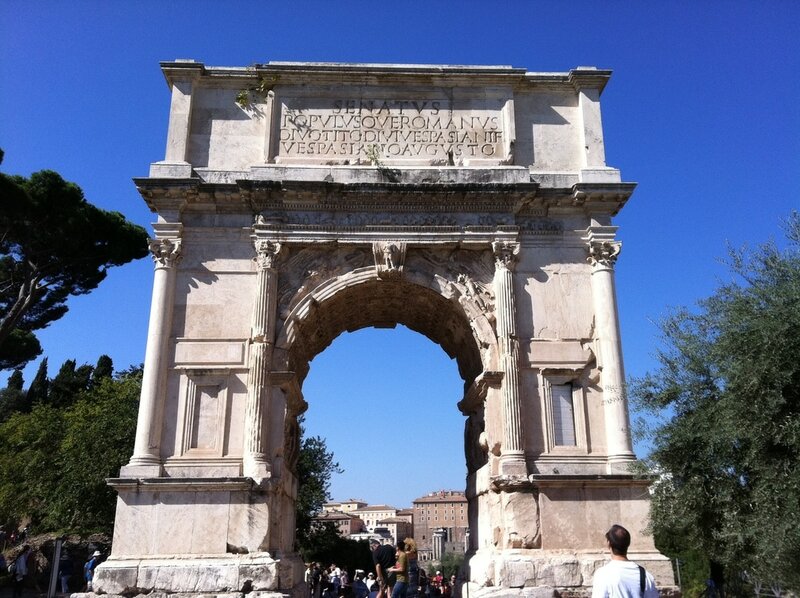 It was built by decree of the Roman Senate, to honor Augustus and celebrate the peace that followed his victories. The oldest surviving triumphal arch in the city. It’s simple but noble proportions and superb high-reliefs make it one of the greatest monuments of Ancient Rome. They were perhaps the most luxurious baths ever built in Rome. An impressive remain deeply influencing artists and poets. A prominent feature of Piazza della Repubblica . Completed by Diocletian in 305 AD, they were the largest of all the bath complexes. 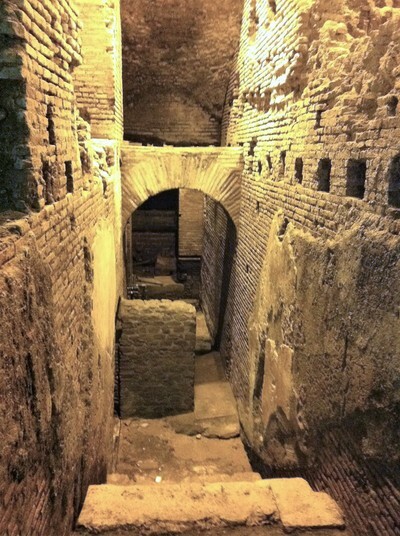 It’s possible to get an idea of the immense area of the baths’ halls by entering the church of Santa Maria degli Angeli, created by Michelangelo within the tepidatium and frigidarium of the bath’s complex. 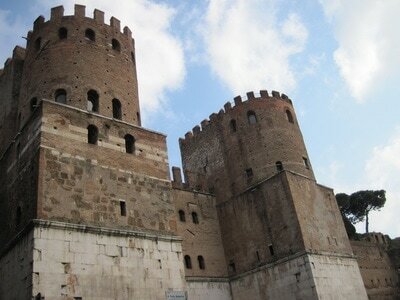 It was the most famous of the seven hills of Rome, serving as both fortress and sanctuary of the ancient city. The temple of Jupiter Optimus Maximus on the hill was the heart of Roman religious life. After years of neglect in the middle ages, the whole area was transformed by Michelangelo into the majestic showpiece it is today. The Mausoleum of Hadrian had a long and varied history being converted into a fortress and then being used as prison, barracks, Papal residence and finally museum. Decorated with spiraling reliefs of the emperor’s military triumphs over the Germans, the marble honorary column is 100ft high. The very symbol of the city’s eternity. The four-tiered elliptical amphitheater seated some 50.000 spectators. 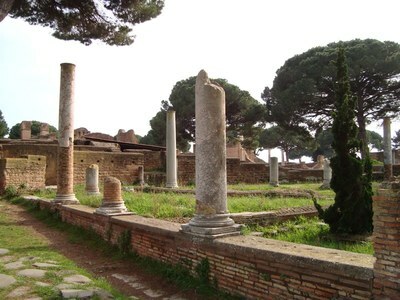 Surrounded by the palatine, Capitoline and Esquiline hills, the flat valley of the Forum developed as the civic, political, commercial and religious centre of the city. A must see !! 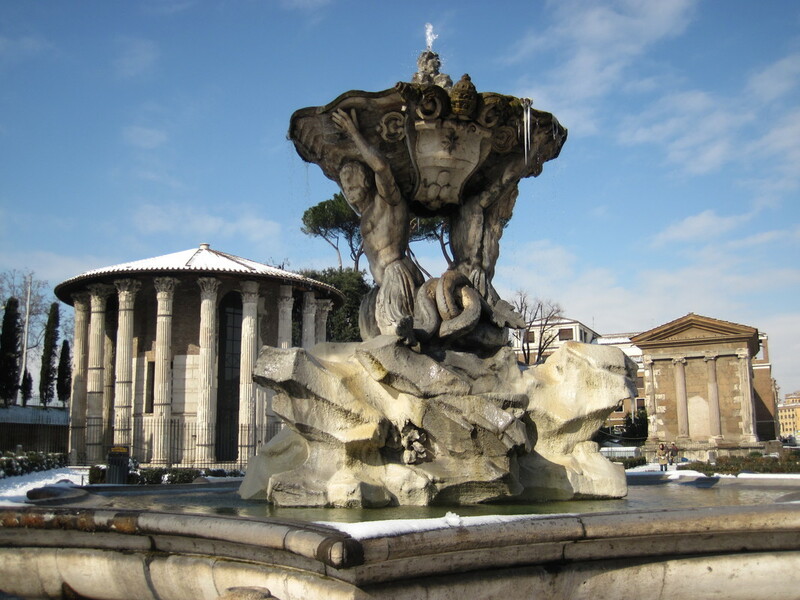 Rome’s legendary birthplace and today its most romantic garden. In imperial age the whole hill was one immense imperial palace (the very word takes its name from the hill). The tomb of a roman colonial magistrate who commissioned the 100ft high monument in 20BC on his return from Egypt. 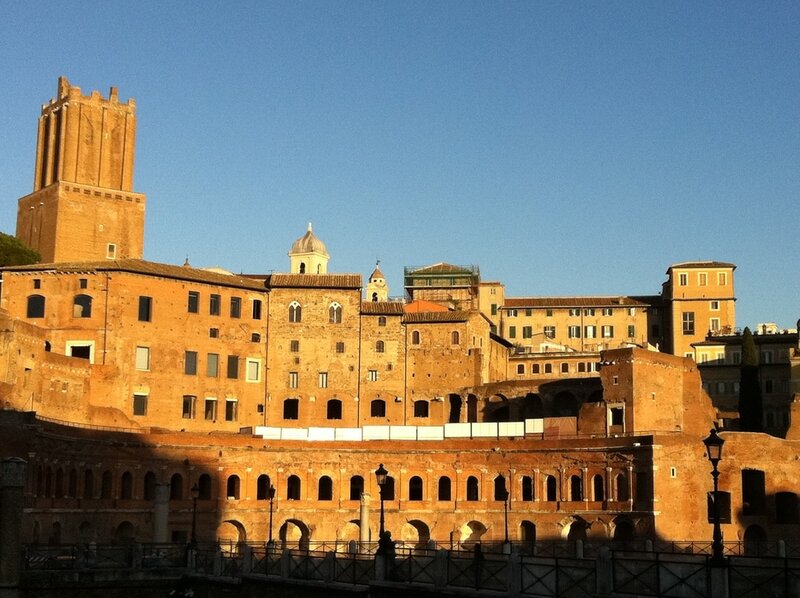 They were built as an adjunct to the Roman Forum in honor of Julius Caesar, Augustus, Nerva, Vespasian and Trajan. it’s the largest and most splendid of all the Imperial forums, dominated by the markets: a kind of shopping mall made up of 150 shops and offices. 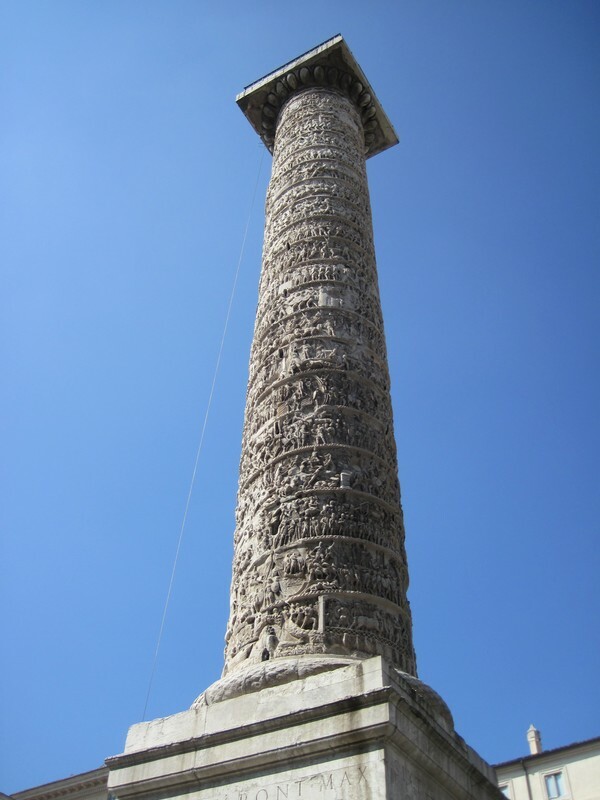 Celebrating Trajan military campaigns, it’s considered to represent the highest expression of Roman art. The fabulous palace with extensive gardens built by the emperor Nero. 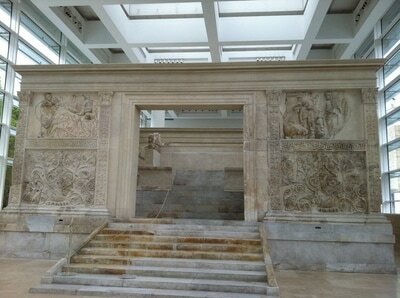 It’s the best preserved monument of ancient Rome. This ‘temple to All the Gods’ was saved to posterity when it was converted into a church. 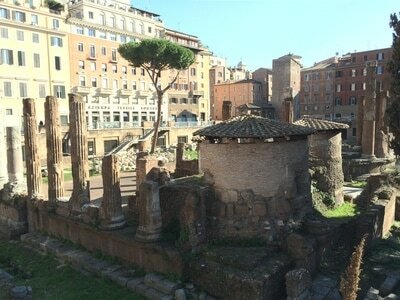 Repository of the ashes of the Caesars (except for Trajan) until Hadrian built his own mausoleum. Made famous by Audrey Hepburn in the classic film Roman Holiday. It’s the oldest standing marble temple in Rome. Dedicated to the God of harbors, it’s very well preserved. The Romans had a passion for horse-racing and the Circus Maximus was their grandest stadium. Expanded and rebuilt over time, it housed hundreds of thousand spectators. 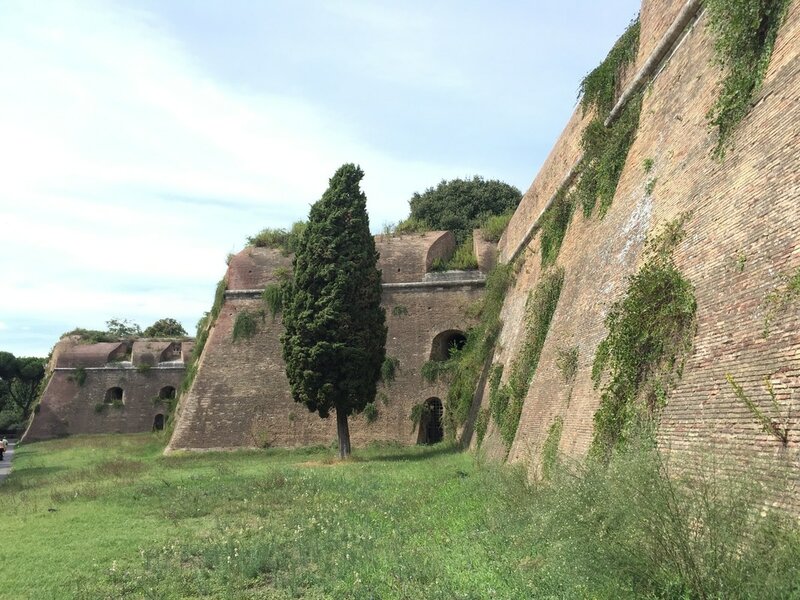 This fortified wall was built in the 4th century BC and encircled a much smaller area than the later Aurelian Walls. Substantial remains can be seen in front of the Stazione Termini and on the Aventine Hill. Impressive circuit of walls built in 275 by Emperor Aurelian. Taking in the Seven Hills, and massively buttressed, it makes an indelible impression. It was the first of the great Roman roads over which the Roman legions marched 370 km (222 miles) on their way to coastal Brindisi to set sail for the East and North Africa. Imposing remains of one of Rome’s most luxurious villas located in the roman vicinity, dating back to the imperial age. it dominates the Appian landscape. An imposing mausoleum witnessing the power of Cecilia’s family preserved as it was turned into a fortified castle in 1302. Built for chariot races in 309AD under the last pagan emperor. It’s the best preserved circus in the city.